To her friends, Halla (Halldóra Geirharõsdóttir) leads a quiet and routine life. But her happy and upbeat exterior hides a secret double life as a committed environmental activist. Known to others as “The Mountain Woman”, she wages a one-woman-war on the local aluminium industry to protect the stunning highland landscape that is under threat. Just as she begins planning her biggest and boldest operation yet, she receives an unexpected letter that will change everything. She will be forced to choose between her environmental crusade and the chance of fulfilling her dream of becoming a mother. 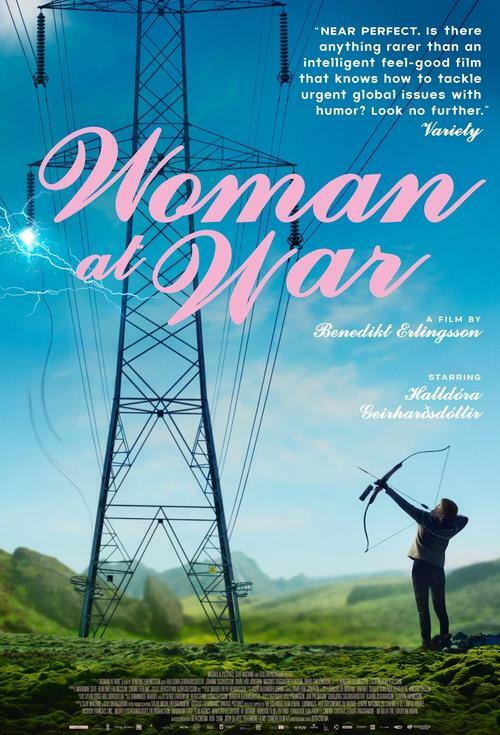 Funny, moving and utterly unique, WOMAN AT WAR follows Halla as she juggles the adoption of a beautiful little girl whilst planning her final act of industrial sabotage.